IRON HORSE TRAIL — Pacific Coast Land Design, Inc. The recreation trail and its trailhead comprise about 30 acres of Santa Clara River revegetation, bike and equestrian staging, shaded rest area and parking. 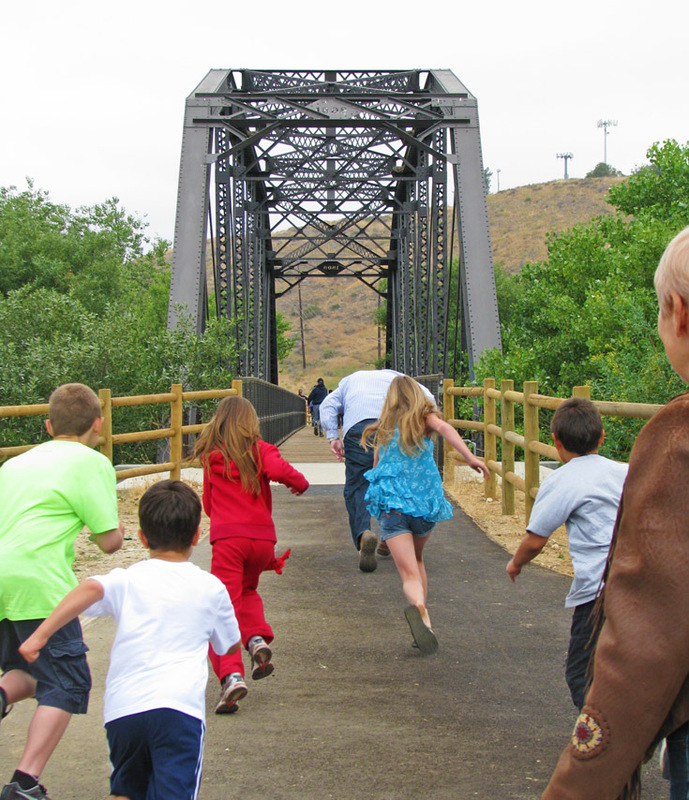 The staging venue features wayfinding and shade structure facilities that emulate the character of the 100 year old trestle that serves as the Santa Clara River recreation crossing. Establish revegetation biomes in relation to the river’s edge. 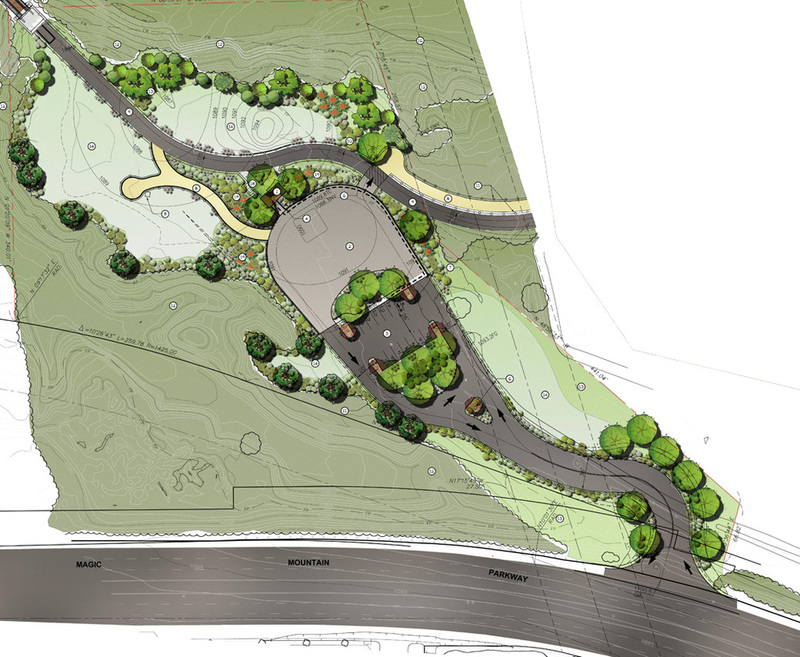 Design planting irrigation and hardscape for the trail and the trailhead. Connect to adjacent high density housing and shopping centers along Magic Mountain Parkway. Design a rest area with shade structure within the context of the bridge. Collaborate with the engineer on trail alignment. Horse meadow with watering valve & trough.